Our friend Scott Lindenhurst offered to write a post about wings from the viewpoint of a Pittsburgh sauce reviewer. Having never been to Pittsburgh, I was happy to read his thoughts about all things wings. Scott Lindenhurst is the owner of Sauce Authority, a website that offers tons of hot sauce reviews, BBQ sauce reviews, sauce recipes and more. If you have a heartbeat and you are an American male, eating wings is more of a common household rite of passage more so than Europeans loving their soccer (yes, soccer, not futbol). So it got me to thinking of my favorite wings and what the go-to sauce I use on mine. It was hard to keep it to just one, so I wanted to explore a few avenues. 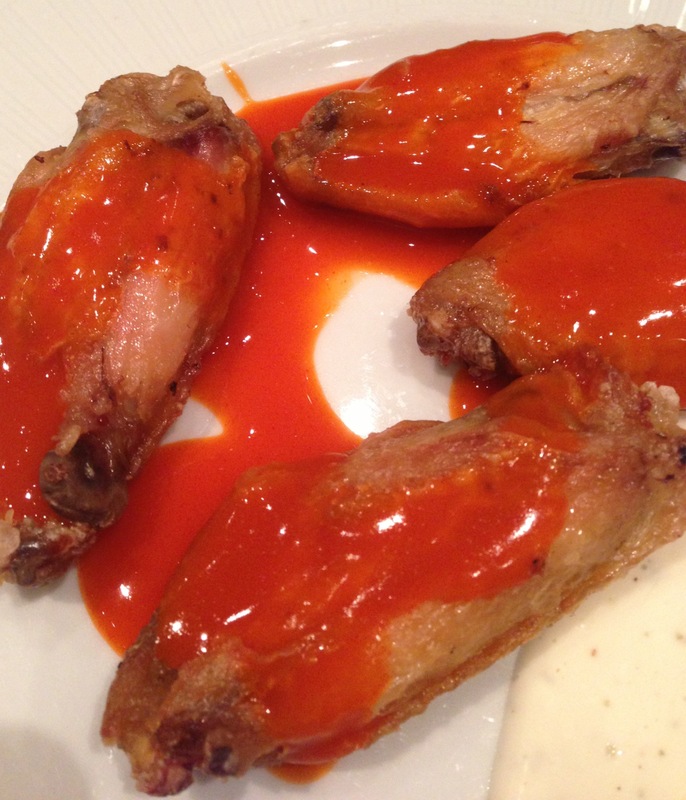 First, and probably tops on my list, is a good old-fashioned wing smothered in a dripping, reddish-orangeish hot sauce. I mean when it comes to being a man, this is a no-brainer. I don’t care if you can’t handle the top-of-the line steaming hot sauce, if you are with the guys and having wings, you can’t be that guy who orders mild or something with hardly any kick to it. So that brings me back to my point of the always-appropriate, always-manly flat out hot wing. Two of my favorite hot wings differ in comparison and where you can get them, the “Supercharged” hot wings from Quaker Steak and Lube here in Pittsburgh (locations all across the country now, but it originated near Pittsburgh) and the homemade wings at my house doused in some Rocky’s Hot Sauce. The “Supercharged” wings have a ton of kick to them but the good thing is you can still take it like a man, just possibly have a napkin to wipe some sweat off after eating them. They are hot, don’t get me wrong, but they are deliciously hot. They aren’t the type where you can’t even fathom taking another bite; they are more like just keep going and going until you finish all of them and then feel the pain! Rocky’s Hot Sauce is a personal favorite of mine when I’m at home deep-frying some wings for a get-together or just when I need a good wing fixin’. Rocky’s Original Hot Sauce is the perfect fit to saturate your wings at home because it has the perfect taste to it, a combination of garlic and butter flavor. It is a little thicker than a traditional hot sauce, not the dripping sauce of a Frank’s. It has a nice heat and burns the tongue a little, but it is outstanding for both the hot sauce lovers and the ones who can’t really stand the burn. I know that many of the national chain restaurants have their special flavor of wings, from Domino’s to Wing Street Pizza Hut wings, but I am still a fan of going into the local watering hole to get the wings I crave. They do nothing but deep fry them and throw some hot sauce and rub on them, but I’m ok with that. Have I ever brought my own hot sauce to a bar? You are damn right. When you get to be a local, you can pull that off. I wouldn’t advise someone to head into a local dive bar with an unopened bottle of hot sauce and ask for plain wings so they can put their hot concoction together. Good luck with that! So at this time of the year when everyone is trying to watch what they eat and wings may or may not be on the dinner menu, take it upon yourself to enjoy your wings at least once a week. It won’t kill your diet. In fact, for those out there reading this blog, if you don’t have some nice hot wings on at least a weekly basis, go ahead and turn in your man card. Anything less is unacceptable. 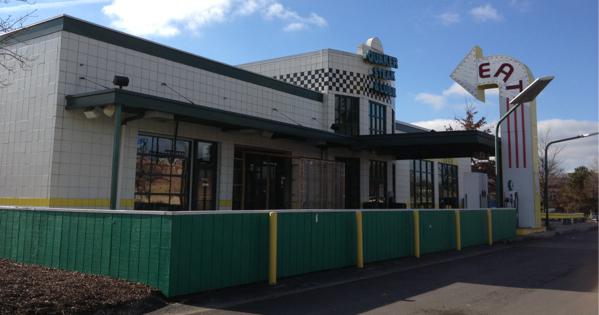 I wish we had a Quaker Steak restaurant near us. I would love to try their wings. Thanks for the great article Scott! No problem! Like anywhere else in the country, there are some dive bars that create their own special blend of wings that would rival Quaker Steak, but it nice to have a local chain that specializes in nothing but wings. I recommend to anyone who visits Pittsburgh. 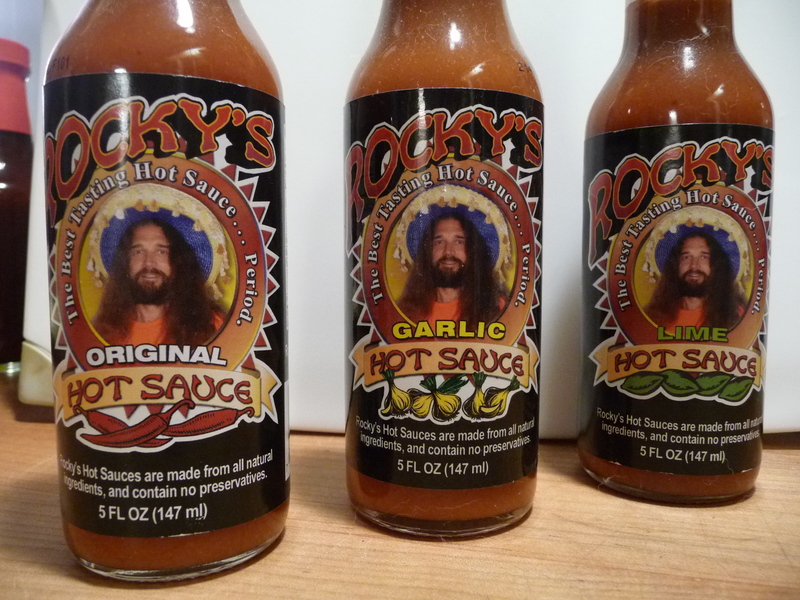 Thanks to you, Scott, we’re gonna have to crack open our Rocky’s Hot Sauce bottles- – more hot sauces in the fridge…. move over, mayo. Thank you for the post. I really enjoyed your style of writing, and it looks like you get to keep your man card! We have a QS&L near us in Waco, TX (about 35 miles)…I’ll hit it up eventually (we’ve only been out here for a couple of months), as I do like their sauces, and have bottles of every one of their flavors at home on the ‘ok shelf…My personal favorite in their collection is the Thai-R-Cracker! I went to a local joint here last weekend and ordered 150 wings with no sauce, they thought that was odd…but hey, I have Defcon, Rippin Red, HoneyBlaze, Ott’s and Blackwoods here at my house! You are all set for some serious wingage! I’d like to hear your report on QS&L when you go. 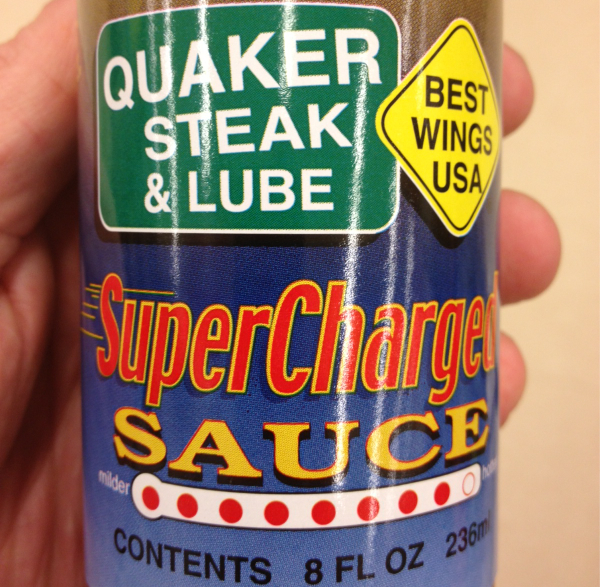 I still haven’t made it by the Quaker Steak and Lube here in Knoxville. The sauce sounds great. I have had the ‘hottest’ wings at QS&L, even had to sign the waver. What a disappointment! They had some zing to them, but that was about it. Our server came over 3 times asking if I needed a glass of milk. I told him, only if they brought me the wings I had ordered. the sad part is these wings are around $1.00 each! I still feel ripped off. I may as well have gone to Hooters. Thanks, Hofy! How was the flavor of the hottest? What does it compare to? The flavor was just your average buffalo wings flavor. Nothing outstanding or bad. My problem was the heat, or the lack of. 150,000 SHU units and it was more like 15,000. I would like to try them again to see if I just had a screwed up order but they shut down a couple of years ago and something else is in the building.